I like Jürgen Klinsmann, the Head Coach of the U.S. Men’s National Team, a lot. We have much in common. He’s a World Cup winner who flies helicopters, wore short shorts in the 1980’s and lives in Los Angeles. I also wore short shorts in the 1980’s and live in LA. 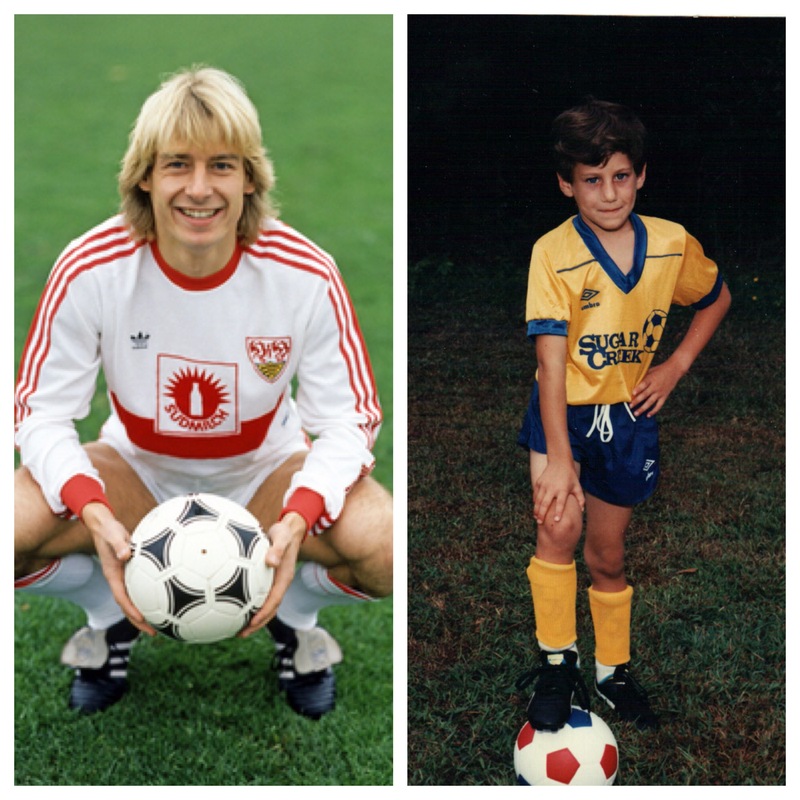 I recently met Klinsmann and asked him why the U.S. hasn’t produced any world class players. Our footballing equivalent of a “unicorn,” in startup nomenclature, as Aileen Lee of Cowboy Ventures coined back in 2013. Whether or not he knows where Donovan ate lunch after a big loss, Klinsmann’s point is vital. “When soccer players in the U.S. are criticized, held accountable, or even recognized as much as the other major sports in the country – then they’ll have that drive and an understanding to improve and reach those higher levels,” he said. Unicorn status. World class status. Without accountability, there is little drive or incentive to be great. People are a product of their environments. The same is true when building a business. Managing a team. Or in entrepreneur turned VC (and SaaS legend) Jason Lemkin’s case, investing in a company. The only crummy investment I've made is where no one was on the board. Once, never again. Accountability improves your overall level. If you are constantly measuring yourself and accountable to someone – or a group, you will produce better. In Lemkin’s case, it’s a Founder or CEO being accountable to a board. It’s OK to give people a hard time, as long as you also praise them for a job well done. If you’re constantly measuring things and accountable to someone, you will produce better, and more often than not, you won’t need to give anyone a hard time. 40% of America’s workforce will be freelancers and temps by 2020. We’ll be managing more and more people who are telecommuting, freelancing, consulting, and just logging in from faster and faster internet connections at more and more expensive local coffee shops. If we instill accountability now, it will be much easier to maintain it even if our interactions are less and less physical, and more and more virtual moving forward. I’ve seen quite a few startups struggle with scaling a virtual workforce when accountability (and proper communication) isn’t in place. To be successful, and create those next unicorns, accountability is a must. Tools like Trello are tremendous – teammates can create virtual ‘boards’ and ‘cards’ to see the progress being made on work projects in a collaborative, real-time environment. There is no place to hide. That transparency feeds into the importance of accountability. Many startups have mastered accountability within product development – specifically through agile development. Our Scrum Masters keep us accountable. Our priority lists keep us accountable. We meet on a week to week basis and assess the progress we’ve made. It’s formulaic, transparent, and collaborative. That’s great. I think, outside of ruthless prioritization, the key to scaling a startup starts and ends with accountability. People stay on track by keeping others on track. Feeling that pressure can bring the best out of many entrepreneurs and startup employees in general. I’m not certain that the next Messi will come from Livingston, New Jersey or Los Angeles, California. After all, achieving world-class or unicorn status is by definition, so rare, that the next Messi may not be American, he may be Swedish or Ghanaian. But that six year-old in the San Fernando Valley, running around with his AYSO team right now on this Saturday afternoon sure has a better shot to achieve greatness with a bit of accountability. A bit of extra pressure. Who knows, maybe we’ll even recognize him at the Whole Foods in Manhattan Beach one day.